Katharine Sims, associate professor of economics and environmental studies at Amherst College, looks into paying landowners to help with environmental management. 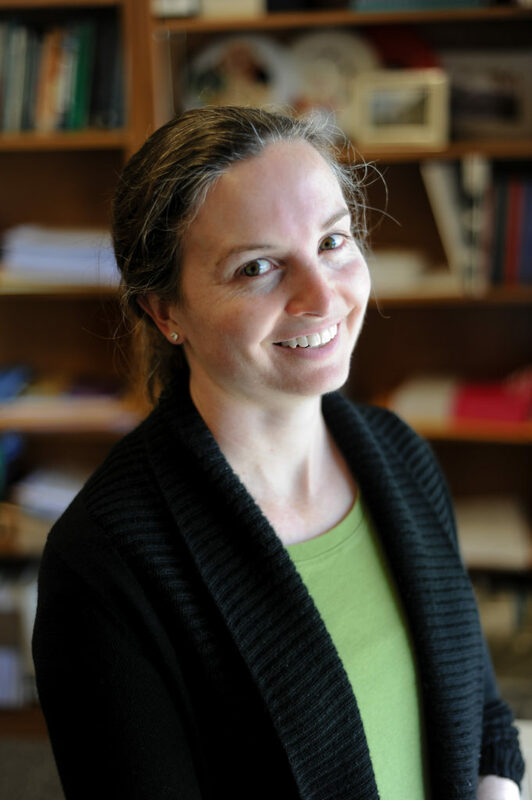 Katharine Sims is an Associate Professor of Economics and Environmental Studies at Amherst College. Her research examines how land conservation policies simultaneously affect economic and environmental outcomes and how choices of management type, targeting, or enforcement can best balance conservation and development. She holds a Ph.D. in Political Economy and Government from Harvard University and a B.A. in Ecology and Evolutionary Biology from Princeton University. She has studied policies such as protected areas, payments for ecosystem services and community forests in countries including Thailand, Mexico, Nepal, and the U.S. She is a 2016-2018 Andrew Carnegie Fellow. Paying people to protect the environment is a controversial idea. We know that financial incentives can drive behavior, but will externally-provided rewards for conservation crowd out moral or intrinsic motivation or erode collective community efforts to protect resources? My co-authors and I studied this question in the context of a major payments for ecosystem services program run by the Mexican National Forestry Commission. The program pays common-property landowners to maintain their community forest or other natural areas through management activities including patrolling for illegal activity, building fire breaks, or enhancing soil conservation. To isolate the program’s impacts from other confounding factors, we compared program participants to similar applicants who just missed cutoffs to receive the limited funds. Our results were encouraging for conservation that relies on monetary incentives. We found that the program resulted in an approximately 50 percent increase in land management activities. In addition, it actually boosted community cohesion or “social capital,” as measured by factors such as involvement in assemblies, ability to resolve conflicts, trust between members, and community-building efforts. We also discovered that the incentives did not discourage participants from contributing to unpaid land management or other voluntary community work. This added new information to our prior findings that Mexico’s payments for ecosystem services program reduced forest cover loss—particularly where there was high pressure to convert natural lands to cropland or pasture—and helped alleviate local poverty. Incentive-based conservation makes sense because it compensates landowners for the benefits their ecosystems provide to others. Our research shows it can also support social capital, which is an important driver of economic development. The bottom line? We found that paying citizens to conserve can generate both environmental and community dividends.